Please do not send us your cards. We don’t collect them. They are wasted. 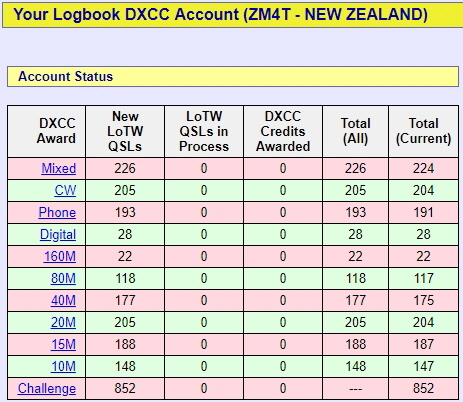 We confirm 100% of our QSOs via Logbook of the World, soon after each contest. If you believe we had a QSO but you can’t get a match on LoTW, please email the QSO details to Gary ZL2iFB (Gary@G4iFB.com) to check our log for a busted call ... or better still, contact us again in the next contest.